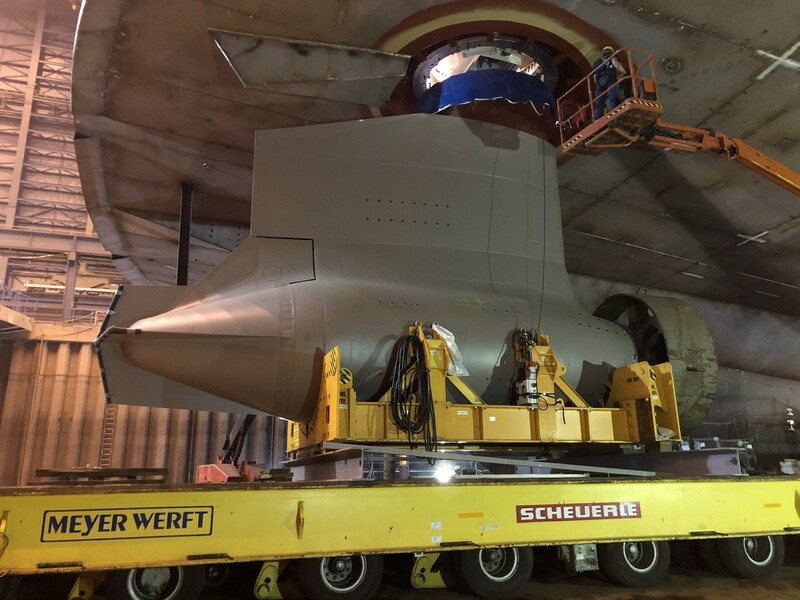 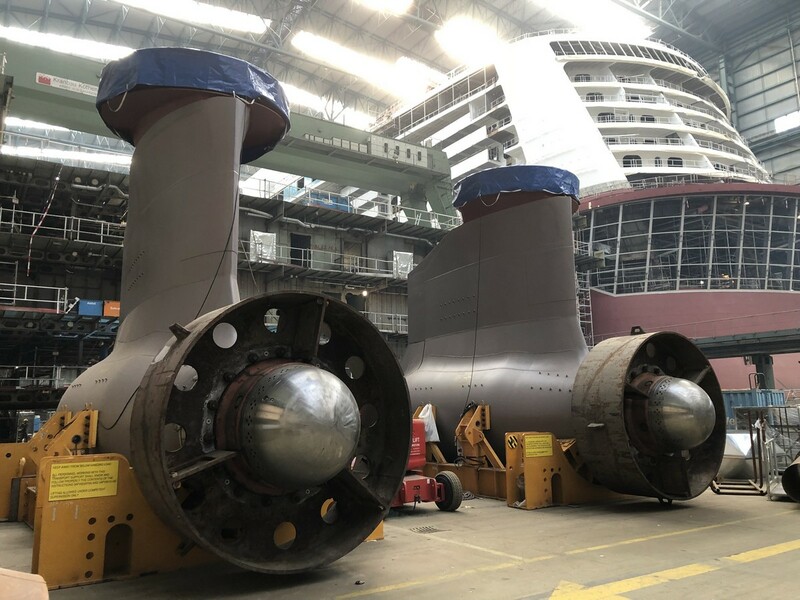 Royal Caribbean's next new cruise ship, Spectrum of the Seas, had her primary means of propulsion delivered to the shipyard recently. 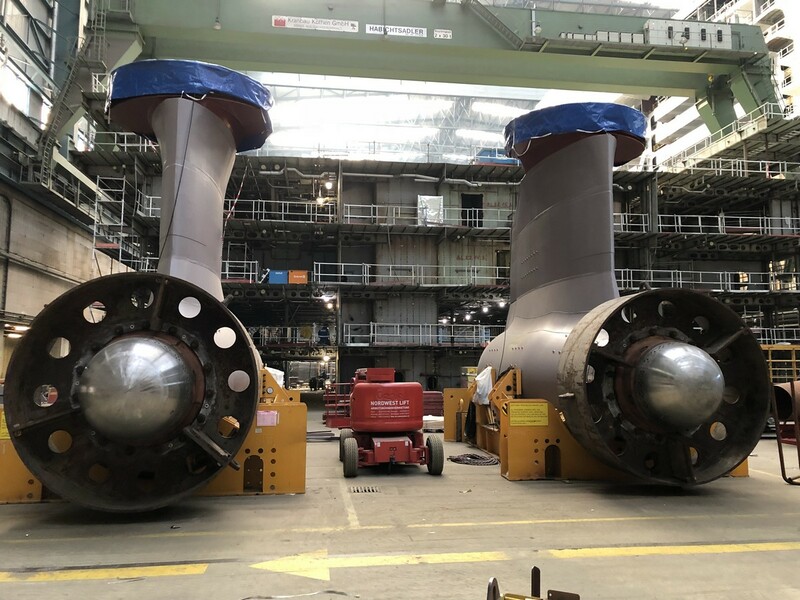 Spectrum of the Seas received her two azipods. 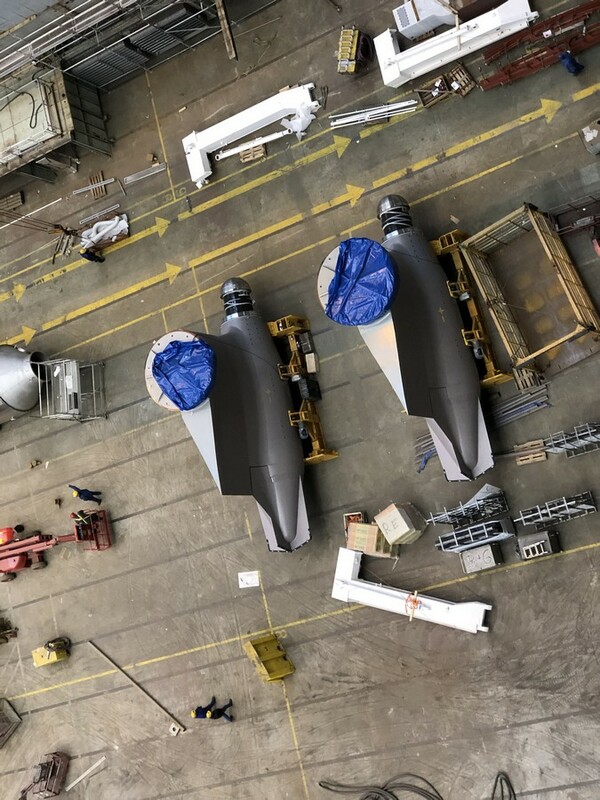 The azipods are used to propel and safety maneuver the ship on the high seas. 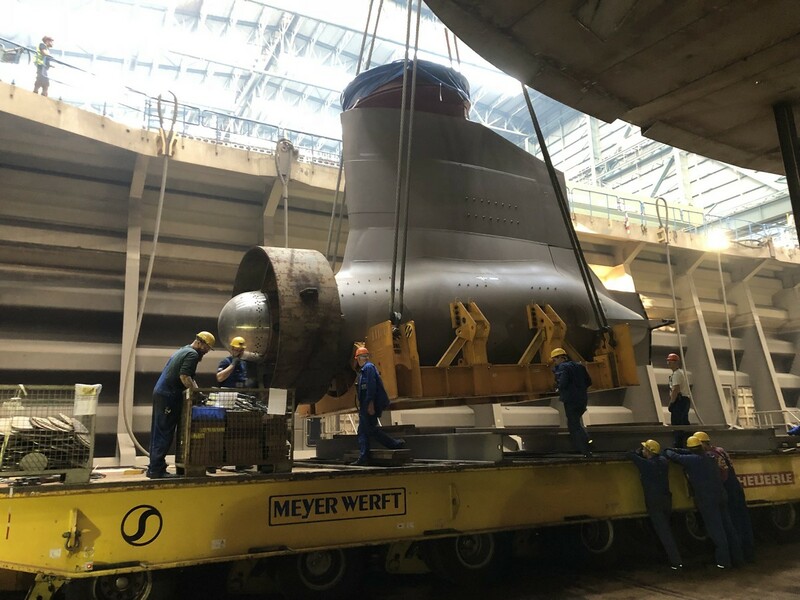 Spectrum of the Seas under construction at the Meyer Werft shipyard in Papenburg, Germany. 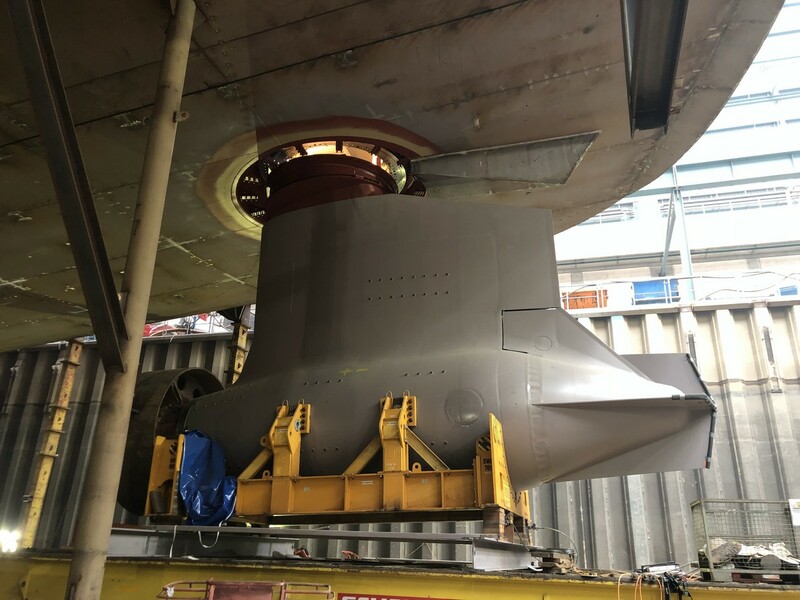 The ship is scheduled to be delivered in April 2019.